This all new Miracles Everywhere Worship Series based on miracles in the Gospels of John and Luke, has been developed for use in congregations participating in the Miracles Everywhere Campaign. The intention is that you will run your local church Annual Stewardship Campaign concurrently with the Miracles Everywhere Campaign. Each of the four weeks focuses on a different area of the campaign, for example the Week 1 focus is the Tanzania partnership. Each week you will want to add your local church ministry focus as well. Description: We all get sick of going through the motions. So did followers of Jesus in the 1st Century. His message to them and us is clear: go deeper and you’ll have a great catch. Description: Have you ever felt like God didn’t step in and help? Maybe you prayed and it seemed as though God was silent. Maybe you experienced tragedy or loss. What do we do then? Great things happen when God’s people work together. While you may feel isolated or alone; remember that God is present and works through friends, congregations and communities. To get unstuck, you might just need 4 friends to help. God can provide from the most ordinary places. God used one boy’s lunch to feed thousands. Each one of us has a small gift that we can offer. Together, God multiplies our gifts and performs miracles. 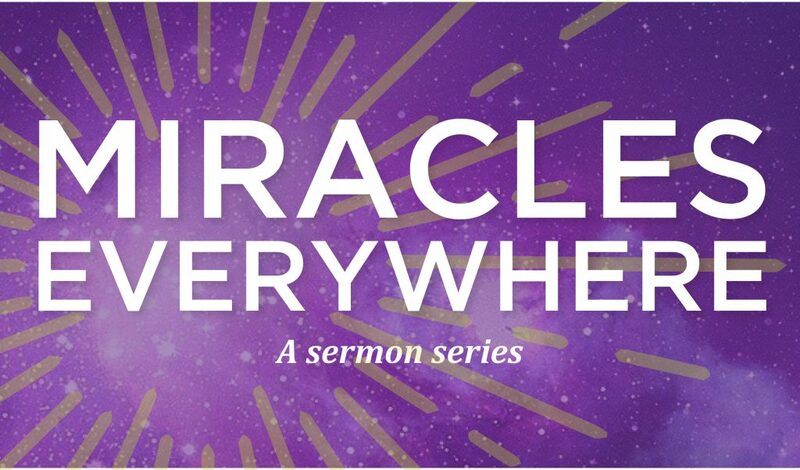 This week we will consecrate our Miracles Everywhere campaign offering.